Those who have studied the inner workings of the mind have discovered ways and means on how to exploit its weakness. We all possess a sense of compassion, so that when we have the means to help someone in need we don’t hesitate to do so. The Jesuits are experts in mind reprogramming and they are playing mind games globally. It is sheer stupidity to discount their huge influence in governments and within the Vatican Church itself. The Vatican Church enjoys the trust of its members, and so is its brainchild, the Red Cross, although only few people ever realized that it owns the falsely charitable corporation through the Knights of Malta “membership” to ICRC. The Red Cross global efforts generate billions yet only a trickle of those amount will ever reached the supposed intended recipients. From what we have experienced, it was the local archbishop that have been entrusted with the billions of peso donations relating to the Guinsaugon Landslide in 2006, and since the church is not subject to public audit, the funds disappeared in time. What is delivered in the disaster areas, however, is the forced vaccinations of the victims to introduced AIDS, hepatitis, Ebola or sterilization, so that in the end there won’t be any survivors left. 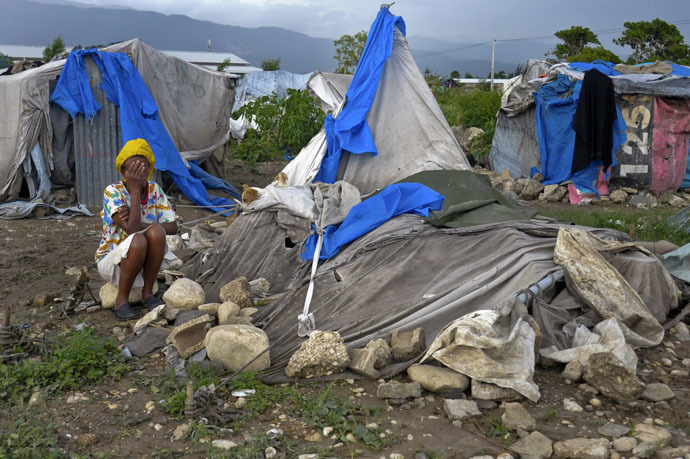 After raising nearly half a billion dollars for emergency disaster relief after the 2010 Haitian earthquake – including $170 million earmarked for ‘shelter relief’ – the American Red Cross has built a grand total of six houses, according to a new report. An investigation by Propublica and NPR has shown a pattern of highly inefficient spending, management troubles, and a lack of local expertise which has resulted in very little concrete relief to the people of Haiti, despite massive outpouring of donations to one of the US’ most prominent charities. One major barrier to effective relief has been a reliance on foreigners who came to the country with little or no knowledge of local culture or language, while dismissing or disparaging Haitians, the report finds. Though the American Red Cross (ARC) says that 90% of the employees in the Haiti program are Haitians, they would not provide a breakdown of nationalities in top positions, and the Propublica investigation found very few made it to top slots. “The implication that talented, smart, competent Haitians cannot be found in Haiti has to be dispelled, if we are going to give Haitians a chance to be part of rebuilding Haiti,” read a 2011 memo from Judith St. Fort, then-director of the Haiti program, that described the disparaging attitudes of senior ARC managers towards Haitian employees. Those foreign workers were also more costly — potentially up to $100,000 more a year — than Haitian employees. Despite Red Cross CEO Gail McGovern’s own promise to “share the way we are spending our dollars,” the ARC has so far not even disclosed what percentage of its revenues go to overhead. That percentage is considered by charity watchdogs to be an essential measure of a charity’s trustworthiness and commitment to its cause rather than to its executives’ paychecks. Even outside of big picture numbers like overhead the ARC “has declined repeated requests to disclose the specific projects, to explain how much money went to each or to say what the results of each project were,” Propublica reports. The lack of transparency makes evaluating the Red Cross’ grand claims difficult, but some were clearly exaggerated or spun. For example, the Red Cross says it has provided homes to more than 130,000 people, but that included people who were just “trained in proper construction techniques,” people who ended up in temporary shelters, or people who got rental assistance for a short period. 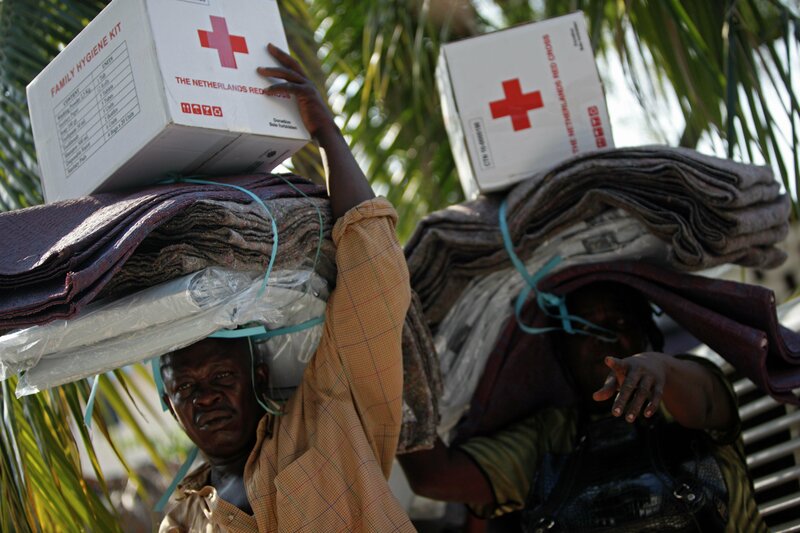 Only six permanent homes have been entirely completed by the Red Cross in Haiti. Red Cross officials like McGovern have repeatedly claimed that “Millions of Haitians are safer, healthier, more resilient, and better prepared” and that the ARC has helped “more than 4.5 million” Haitians. But Jean-Max Bellerive, the Prime Minister of Haiti when the quake struck, finds those claims dubious when applied to a country with only 10 million people in total. Though the Red Cross blames the poor result of the housing project on difficulties navigating Haiti’s land laws, others say it all came down to a lack of expertise in the region, and a wasteful reliance on subcontractors, with each layer taking another bite out of donations for administrative costs. One former head of the Haiti shelter program for the ARC, Lee Malany, told Propublica that officials in Washington just didn’t seem to know how to spend the money they’d raised. “When I walked out of that meeting I looked at the people that I was working with and said, ‘You know this is very disconcerting, this is depressing,'” said Malany, who later resigned. According to charity watchdogs, an average charity would spend 75% of its funds on its cause, and going by that measure, the Red Cross’ claims to efficient funding look great. “Minus the 9 cents overhead, 91 cents on the dollar will be going to Haiti. And I give you my word and my commitment, I’m banking my integrity, my own personal sense of integrity on that statement,” McGovern told CBS news a few months after the quake. Unfortunately, many other subcontracted groups would then take their own chunk out of that 91 cents per dollar for administrative overhead. In one example, when the ARC sent the International Federation of the Red Cross $6 million for a particular project, the IRFC then took an additional 26% of that in overhead. In another $5.4 million project for housing improvement, Propublica found that the figure that went directly to the work was closer to 60 cents on the dollar. Even factoring in the various sub-layers of administrative costs, Bellerive said he still didn’t understand where all the money went. The main program – LAMIKA (a Creole acronym for ‘A Better Life in My Neighborhood’) – was to build hundreds of permanent homes to house some 130,000 people living in abject poverty after the quake. Now, in 2015, the Port-au-Prince neighborhood of Campeche is as dilapidated as ever, with hardly any new buildings, trash strewn around, animals walking the streets, and people enduring sub-standard conditions in self-made shacks. “Many residents live in shacks made of rusty sheet metal, without access to drinkable water, electricity or basic sanitation. When it rains, their homes flood and residents bail out mud and water,” an introduction to a report says. An investigation by NPR and ProPublica gained access to “confidential memos, emails from worried top officers, and accounts of a dozen frustrated and disappointed insiders” familiar with how the NGO broke its promises, misspent millions of dollars, and then issued self-congratulatory progress statements. 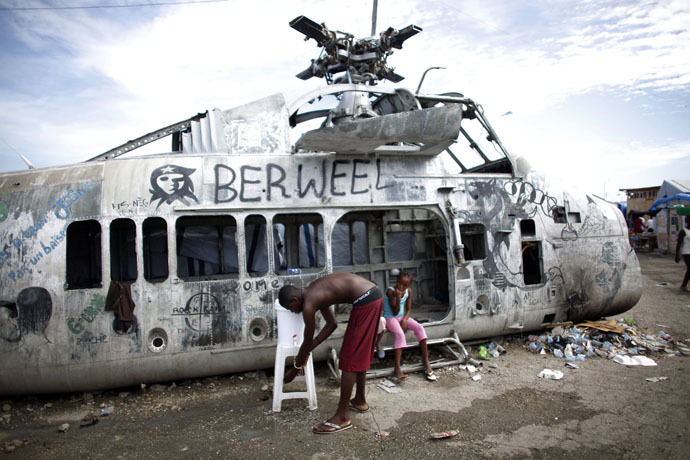 The investigation pointed to a series of systematic blunders and untruths surrounding the Haiti effort, however. The Red Cross’s internal proposal put the number of houses to be built at 700 by January 2013. In reality, only six houses were actually constructed. “We asked the Red Cross to show us around its projects in Haiti so we could see the results of its work. It declined,” the report reads. Part of the reason behind the failure is that the Red Cross “didn’t have the know-how” and “they had no development experience,” former employees said. In some cases, the NGO would give millions to other groups. Poor supervision and lack of proper oversight allowed these subcontractors to rack up inordinate bills for management and overhead costs. Another issue that could have hindered the Red Cross’s work in Haiti is trouble with the country’s “dysfunctional” land title system. Another possible reason for the dismal results, pointed out by current and former employees, was “an overreliance” on expats who could not speak French or Creole. 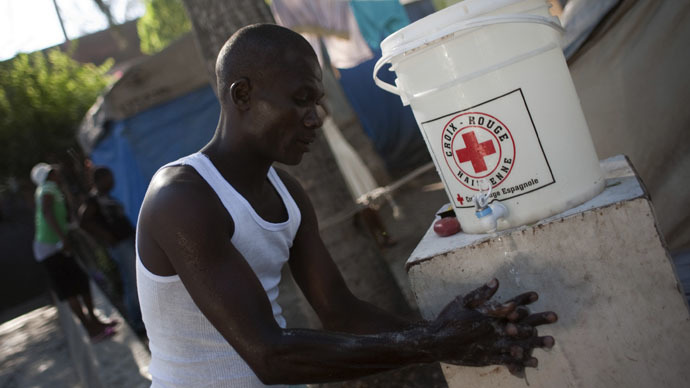 The Red Cross’s statement, however, said that over 90 percent of people hired were Haitians. That didn’t seem to be reflected in the top positions, however, according to the authors of the report. According to the report, the NGO displayed an arrogant attitude to national staff – some of the very few people who could speak French and the local Creole. In some cases, the Red Cross actively discouraged their participation. This led to poor communication with the local population and, ultimately, to the failure of the outreach project. “Going to meetings with the community when you don’t speak the language is not productive,” one Haitian who worked on the project in Campeche said, adding that meetings would be skipped altogether at times. Some $140,000 was spent on housing, food, and R&R for a foreign project manager, who also enjoyed four paid leaves a year. That comes to more than $100,000 more than would have been spent on a local equivalent. “A lot of money was spent on those people who were not Haitian, who had nothing to do with Haiti. The money was just going back to the United States,” one Haitian who coordinated expat housing for the Red Cross confessed. At the same time, Red Cross officials focused more on programs which would generate good publicity than those providing the most homes, according to testimony from Lee Malany, the project manager of the shelter program. He recalled a Washington meeting where top officials had no idea what to do with the millions they’d been given for housing projects. The organization would not provide details on how it spent the almost $500 million that it received, nor give specific details of how its projects were carried out. However, various promotional statements estimated that the initiative had repaired some 4,000 homes, erected temporary shelters for thousands of families, and donated $44 million for food aid and hospital construction. “The Red Cross’s public reports offer only broad categories about where $488 million in donations has gone,” according to the authors of the report. The organization claimed that it had helped 4.5 million Haitians, but according to reporters “there is reason to doubt” that. Asked if there was any truth to the Red Cross’s claims, Haiti’s Prime Minister didn’t seem to know how the numbers could add up: “No, no… it’s not possible,” Jean-Max Bellerive said, stressing that the country’s entire population is only about 10 million. The Red Cross had already been embroiled in several scandals following 9/11 and Hurricane Katrina relief efforts, but that did not matter to the many people, organizations and US celebrities who continued to support it. The Haiti earthquake was touted as “a spectacular fundraising opportunity” within the organization, according to one former official involved with the program. A great number of high-profile people and organizations donated to the cause, including Michelle Obama, many Hollywood A-listers, and the NFL. It later turned out that the organization continued to collect funds for emergency relief projects even after it had hit its targets. The extra money was found to have been put toward eradicating the American Red Cross’s own debt, which exceeded $100 million. The Red Cross has been caught stealing $400 million of relief money that should have gone to the people who suffered from Superstorm Sandy. But this is nothing new. When Haiti was hit with that giant earthquake in 2011, the Red Cross received hundreds of millions of dollars from people around the world. 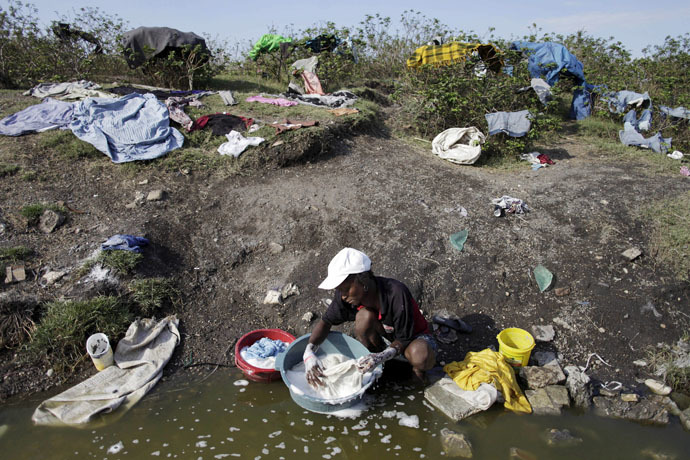 However, only about 5% of that money every got to the survivors, who, by the way, are still living in tent cities in mud, squalor and horrible sanitation conditions right across the road from the Red Cross headquarters in Haiti. But what this article doesn’t say is that the Vatican owns the Red Cross, and they have been in the money grabbing-stealing business for the past 1,700 years. The Vatican is the richest organization in the world. Read history and do your own research if you don’t believe me. The credibility of the Red Cross has come under fire once again after Staten Island Borough President James Molinaro slammed the organization during a now viral press conference. Molinaro brought up some significant points including the fact that the people in charge of the Red Cross actually make hundreds of thousands of dollars per year while never stepping foot on the front lines of a disaster. “All these people making these big salaries should be out there on the front line, and I am disappointed. The Red Cross and the Vatican both helped thousands of Nazi war criminals and collaborators to escape after the second world war, according to a book that pulls together evidence from unpublished documents. The Red Cross has previously acknowledged that its efforts to help refugees were used by Nazis because administrators were overwhelmed, but the research suggests the numbers were much higher than thought. Gerald Steinacher, a research fellow at Harvard University, was given access to thousands of internal documents in the archives of the International Committee of the Red Cross (ICRC). The documents include Red Cross travel documents issued mistakenly to Nazis in the postwar chaos. They throw light on how and why mass murderers such as Adolf Eichmann, Josef Mengele and Klaus Barbie and thousands of others evaded capture by the allies. 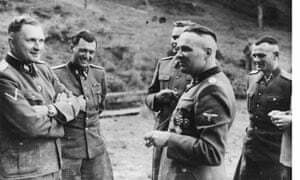 The documents – which are discussed in Steinacher’s book Nazis on the Run: How Hitler’s henchmen fled justice – offer a significant insight into Vatican thinking, particularly, because its own archives beyond 1939 are still closed. The Vatican has consistently refused to comment. Steinacher believes the Vatican’s help was based on a hoped-for revival of European Christianity and dread of the Soviet Union. But through the Vatican Refugee Commission, war criminals were knowingly provided with false identities. The Red Cross, overwhelmed by millions of refugees, relied substantially on Vatican references and the often cursory Allied military checks in issuing travel papers, known as 10.100s. It believed it was primarily helping innocent refugees although correspondence between Red Cross delegations in Genoa, Rome and Geneva shows it was aware Nazis were getting through. “Although the ICRC has publicly apologised, its action went well beyond helping a few people,” said Steinacher. Former SS members often mixed with genuine refugees and presented themselves as stateless ethnic Germans to gain transit papers. Jews trying to get to Palestine via Italy were sometimes smuggled over the border with escaping Nazis.